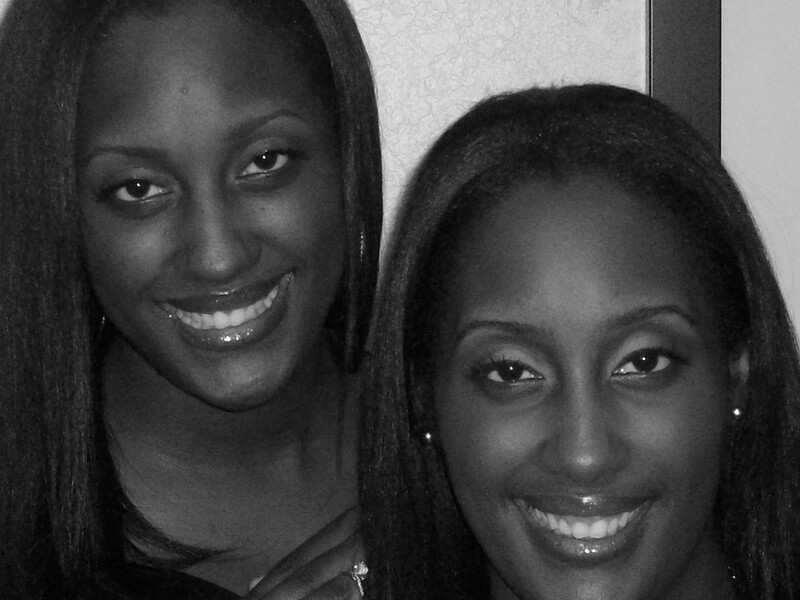 Tai and Tarin, the Double Saving Divas, are financially savvy identical twin sisters who love God and coupons! They were born in the heart of Chicago and have been battling that windy beast for all 31 years of their lives. In following their footsteps you will find two down to earth personalities, family oriented, God fearing, educationally fit and hard working twins who often times wonder if they share the same DNA! (Just Kidding) The twins were recently featured on TLC’s Extreme Couponing and they did their thang! We interviewed the Double Savings Divas for our Positive Sisters edition of www.shalenadiva.com and here are their answers on life and saving money! “With the help from God we strive to live large on less.” We know that it isn’t God’s will for us to live in financial hardship. It is only because of His grace and word that we are able to use money wisely and successfully. Describe your platform: what issues are you passionate about and why? Who is your target audience? Saving money and helping others save without compromise is our mission. We will tell you about the hottest deals, show you how to get out of debt and get free products to save and make money during these tough economic times. Our target audience is really anyone who handles the Benjamin’s, Washington’s, Lincoln’s, Hamilton’s ….. Must we name all of the Presidents on MONEY?! (Laughing out loud) However, most of our audience is African Americans. What motivated you to help this group of people? Do any of your own life experiences play a role? One concern that we have about many financial gurus and online communities is that there is an untapped gap with money issues and African Americans. With knowing this and also the winding downturn of our economy our hearts ached for people not being aware of ideas to help ease their financial hardships. How do you serve your target market? Do you have a website, radio show, television show, business, organization, etc? We are hosting a BIG online birthday bash on 02.24.2011 with the launch of our website www.doublesavingdivas.com. You and your readers are invited to join in on the fun! You can also find us on YouTube, Twitter and Facebook – www.facebook.com/doublesavingdivas for more details. Motivational work is not one size fits all. How did you develop your unique way of serving? What makes your work different? We became selfless to help those who were helpless. The difference in our work is that not many would sacrifice their time, money, family and career to help make a difference in someone else’s life. What we do isn’t easy and can be very challenging to keep up with the demand. However, we find our joy and strength in God along with the gratefulness of our followers. Did you have any initial fears or concerns that you had to overcome when pursuing your passion? No, not really. We just hoped that others would adopt our passion for making better choices with their money. If your motivational work is a business also, how much money did you need to get started? Did you use any creative funding sources? Did you need any certifications or licenses? We didn’t need much money to get started. All we initially invested in was a camera and our time. Although, there was no need for certifications or licenses in this field, we possess a few FINRA/NASD licenses and a Bachelor of Science in Finance. How can people reach you to learn more about what you do? Are you or your business on Facebook? Twitter? Linked In? Please list. 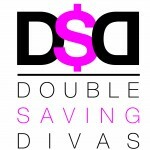 Don’t forget to visit our Online Birthday Bash revealing our anticipated blog www.doublesavingdivas.com February 24th! What brings you the most joy from your work? Any struggles? Our hearts fill with overwhelmingly gladness when we see our D$D families take what we’ve taught them and make the necessary steps to better their financial future. Hey, ladies! Do you find that African Americans are catching on to saving and shopping with coupons? How do you find great deals? Just to name a few…We sign up for our ‘favorite stores’ email club. You will find that they send you special deals, discounts and coupons quite frequently. We also have a newspaper subscription. This allows us to clip coupons and match them with the weeks current deals. Cool! Will your new site be like some of the popular coupon sites where you can download the coupons directly? One day, I’m going to challenge you two to a CVS showdown. When I’m on my game I’m thebest there is..
What do you say to a CVS showdown? Yes, our goal is to have downloadable coupons along with other options that most sites don’t provide. LOL! Bring the CVS showdown on! You know, this is one of our most favorite stores to shop. Cool! And yes, bring it on! I have to get back in my groove, but when I do, it’s on like popcorn! I’ma teach y’all a few things or two! LOL! LOL! Looking forward to it Shalena! I’m sooo glad I crossed paths with these two young ladies. They are very big on Youtube. That is how I came across them. I featured them back in January and guess what??? They were recently featured on TLC’s extreme couponing! These ladies …really believe in saving and being financially responsible. You have to become fans of their facebook page and get those coupons. They provide deals and coupons every day! 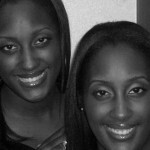 I love the twins!!! @Felicia—I don’t play when it comes to highlighting folks we should all know about! The twins are the bomb.com! I love them. You should become a fan of theirs. They always offer great coupons and advice. They also encourage you with scriptures, too! They love God and coupons!